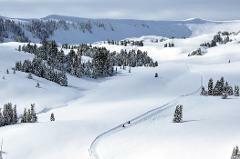 This High Adventure trip is for single riders only and gets you high up into the Huge Powder-filled bowls at 11,000ft.... the Highest Snowmobiling in Utah! Depart the base lodge and head up the valley with your guide for a day of adventure! Get used to the machines with some free-riding in the open valley. Hit the groomed trails up through the mountains and forests to our Mid-mountain Lookout Cabin. Enjoy the 9000ft views and take a break while enjoying a deli lunch at the Cabin. Your guide will take you through some high-mountain canyons to access Snowmobiling Mecca....The Bowls! Your guides will turn you loose in the huge powder-filled bowls for the rest of the afternoon. Choose gentle rolling terrain or more aggressive hills. Your guide is in the area to assist you if you get stuck or need assistance. These bowls let you access the Highest Snowmobiling in Utah at 11,000ft and are bigger than most companies entire terrain. The views are amazing! Unfortunately the snow is generally too deep to allow passengers. 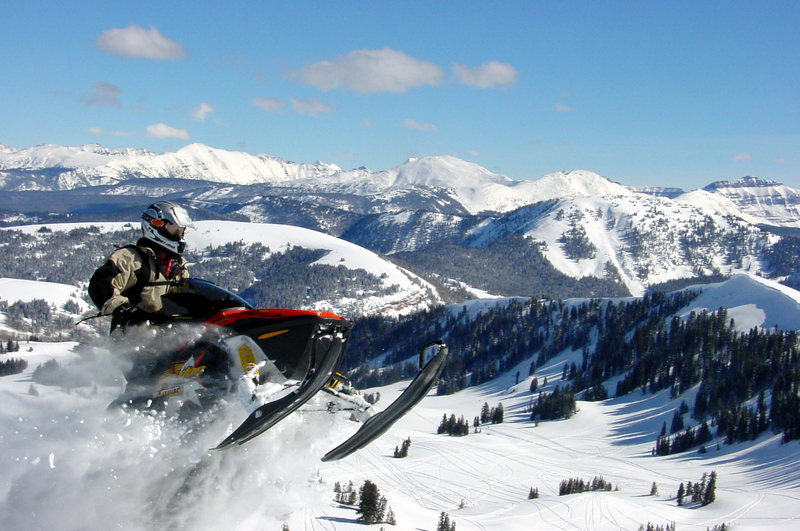 This trip is for experienced snowmobilers or for adventurous intermediate riders. Trip includes: gas, oil, helmet, guide, and new SkiDoo snowmobile. Does not include tax or gratuity. 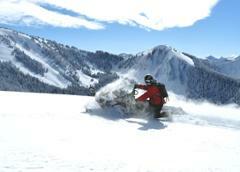 Options: High-performance upgrade to 600cc liquid-cooled Summit $39, Snow gear (boots, suits) is available for rent $10. Optional Collision waiver $20. Lunch add on for $9.